Organic evening primrose oil is a potent source of Omega-6 fatty acids necessary to maintain many vital functions in the body. In addition, many midwives and naturopaths love using evening primrose oil to induce labor due to its high content of prostaglandins that promote healthy uterine contractions and prepare cervix for delivery. All pregnant women should not use this oil at the beginning stages of pregnancy to avoid evening primrose oil side effects. It’s considered safe only when the pregnancy is approaching its full term, right about 37 weeks. Also, if you are undergoing fertility treatment, do not use evening primrose oil as it might interact with your prescription medication. Evening primrose oil dosage should not exceed 1,00 mg of oil taken orally three times daily to avoid possible evening primrose side effects. In case of overdose there have been reports of mild stomach upsets, diarrhea and headaches. 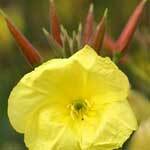 Evening primrose side effects could also occur in patients with a prior history of epileptic seizures, schizophrenia who are currently taking prescription meds to control their conditions. If you are sensitive to plants from the Onagraceae family or have known allergies to gamma-linolenic acid, do not take this herb to avoid potential evening primrose side effects.